United States to sell $3.5 billion in missiles to Turkey. The United States on Wednesday approved the sale of $3.5 billion in missiles to Turkey, offering an ultimatum after US outrage over the NATO ally's plans to buy from Russia, AFP reports. The State Department said it had informed Congress of plans to sell Turkey a package that includes 80 Patriot missiles, 60 PAC-3 missile interceptors and related equipment. "The proposed sale will increase the defensive capabilities of the Turkey military to guard against hostile aggression and shield NATO allies who might train and operate within Turkey's borders," a statement quoted by AFP said. The move is seen as a counter move to Turkey’s purchase of S-400 anti-ballistic missile defense systems from Russia, which has long been an issue of contention between Turkey and its allies, particularly the United States. Military experts are concerned that the deployment of S-400s would put the security of allied weapon systems, particularly F-35 aircraft and radar facilities, in danger. A State Department official said that Turkey was jeopardizing participation in another US military program, the coveted F-35 fighter jets, if Turkey still went ahead with the S-400 sale. Turkey could also face sanctions on defense purchases under US law if it goes ahead, the official said on condition of anonymity. A purchase from Russia "would have serious ramifications for US ability to do business with Turkey across the defense trade spectrum," the official said, according to AFP. The US deployed Patriots in Turkey at the start of 2013, and later decided to keep the batteries in Turkey for another year to help bolster the country’s air defenses against threats from Syria’s civil war. 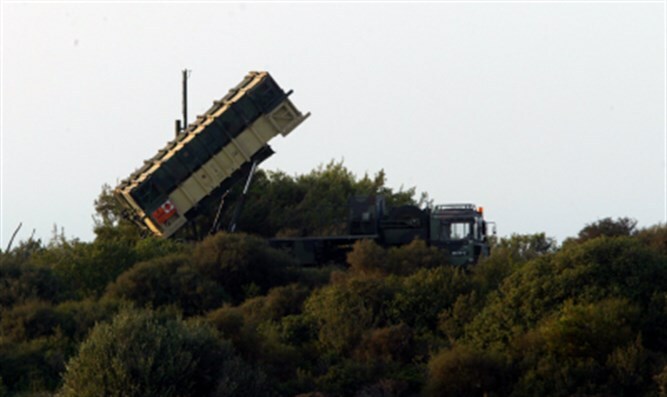 The Patriot missile batteries were withdrawn from Turkey in October of 2015.